There are two combo boxes. 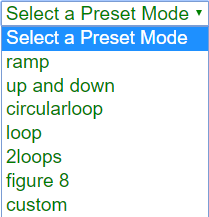 One for choosing the Preset Conditions, while the other for Functions. Toggling between this combo box give you their respective functions. You can adjust the placement of the slides by dragging the empty boxes. 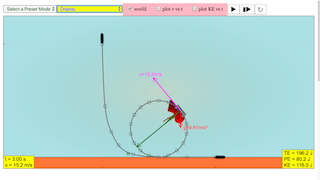 Drag and make your own customizable slide in this simulation! Double Clicking anywhere in the panel or the graph will toggle full screen. Note that this will only work if the simulation is paused.